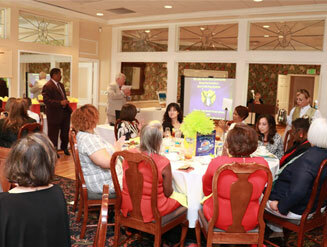 We got a lot of support for our second annual Love of Literacy Luncheon on Feb. 8 in Boynton Beach. Literacy is a word we use often in describing our programs and events. Take a few moments to understand what it means and how beneficial it is for our children and families. The word literacy that seems to have been used since the end of the 19th century, refers to the ability of a person to read a text or produce it on a physical or virtual medium. Literacy is a process that begins when you learn to draw or recognize certain letters on a keyboard, and join those forming sentences and words that we can read and give them a meaning. For those who do not have the possibility to see, literacy is done by the Braille system. As a process is continuous and perfectible, because many can read and write, but do not know the meaning of many words, cannot understand the author’s message, cannot adequately convey what they wanted to express and so on. Those who do not know how to read and write are illiterate and who, despite being able to do so, do so in a rudimentary way, without being able to understand the meaning of the expressions, are called functional illiterates, which is natural in preadolescent children but should be gradually overcome as the skill is advanced. The literacy rate is very important to determine the degree of development of a country or region. In most countries of the world, the primary education of children is at least mandatory, which is why the number of illiterates tends to decrease. The creation of adult education plans also contributes to eradicating the problem of illiteracy, which still registers very high rates especially in African countries. Without a doubt, literacy is a very important stage in our lives, since it is in this process that we discover reading and interpreting things. Professionals in this area, through a well-developed learning process and with adequate goals and objectives, are considered important people in this stage, as it has the responsibility to qualify the students, helping them on a wide range of subjects. The way to learn or to read and write will depend on the student, since each one has its limitations and aptitudes for the methodologies, so it is up to the teacher to understand the need of each student and work on it. The role of the teacher in the student literacy process is to work in the best possible way to teach, write and encourage reading, not to mention that he must find ways to make the student interested in learning. Student will know how to relate better to people and build knowledge for themselves. The understanding of each teacher regarding the construction of knowledge and learning is fundamental for the students, because it is through literacy that he will make discoveries of the most varied subjects. Reading is an option in building students’ interest in studies, so it is up to the teacher to provide that contact. This importance is due to the awakening of the will to read and learn, we become adults who have reading and learning as a habit, not to mention that we also know many ways to correctly pronounce words and understand texts that sometimes seem impossible to understand. Literacy has benefits beyond improving reading and writing skills. There are several additional benefits that are not highlighted immediately. Being literate transforms the individual in various ways, because it will make him understand better about the social and cultural aspect. A literate person guarantees the best exercise of citizenship, since they will understand and know about their rights and duties. With literacy, you will be able to better understand what has been read and know what is the best use of the word and the meaning of it. It is a unique enrichment, not to mention that it is a form of human and social development. You will not only know how to read and write, but understand what was read and know how to make the best use of the word. Good learning is essential if students are to be able to develop their citizenship role in the future. You will feel closer to society, feel part of it as well and relate better to people. Literacy prepares you for life, both personal and professional. It is the basis for a concrete and constructive education. It is a right and a form of enrichment, since literacy is the basic essence of education. Literacy is a fundamental process to guarantee the right of all people to quality education and lifelong learning. It promotes autonomy, self-esteem, social and gender equity, knowledge, capacity building, human, social, cultural and economic development. Our Steps to Success Middle School Health & Wellness Summer Camp is in full swing. More than 40 middle school youth are participating in the new camp that will run through Aug. 10. The camp’s focus is on health and wellness, as well as learning academic skills such as computer coding and Science, Technology, Engineering and Mathematics (STEM). But on a recent hot morning in mid-June, the youth just wanted to escape the sun and have fun. They were watching a World Cup soccer game inside the recreation building. They were eating snacks, cheering on the teams and just happy being together. “The kids have a lot of fun. They like coming here,” said Lesha Roundtree, our summer camp director. That’s the point of the camp. For many pre-teen youth growing up in the area, there was little to do in the lazy summer months until the camp opened. Many sat at home, watched TV and accomplished very little. The funding for the camp was made possible by Impact 100 Palm Beach County, which provided a $100,000 grant. These funds are paying for counselors, teachers and assistants to supervise the youth and emphasize nutrition, academics, and staying focused on the future. Once the camp ends, the youth, as well as many of the staff, will continue on through an after-school program at our center. The youth will come three times a week to complete homework, get tutoring, and be involved in activities close to their home. 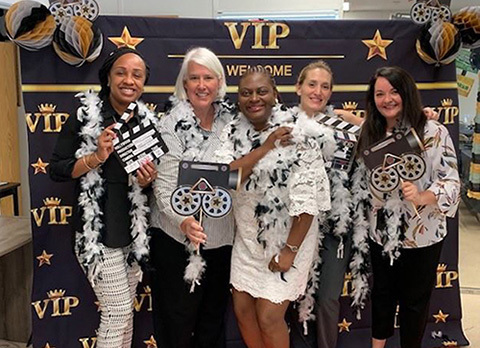 “We made sure that our programming for these middle school youth was year-round so they benefited from learning and relationship-building by being with each other – that was really important to us,” Rogers said. Registration is now open for our Steps to Success Middle School Health & Wellness Summer Camp. This new camp is free. Lake Worth West Resident Planning Group will be providing lunch, snacks, and educational and fun fieldtrips. There is a $50 per child registration fee. With a theme of health and wellness, the camp will run for eight weeks from June 11 to August 10. Each child must attend all eight weeks. In addition, he or she must have completed 5th grade, and be going to middle school beginning in August until 8th grade. To sign up, please print the registration form by clicking here and bring it to our office at 4730 Maine Street in Lake Worth. At our recent “Book Walk” event, our staff and volunteers got many students to read books and focus on their futures. The Jan. 10th event was aimed at encouraging students from Palm Springs Elementary School to attend school regularly. The school, on Davis Road in Lake Worth, is where many of the young children in our community attend. Our organizers distributed more than 30 free backpacks stuffed with books, snacks and other items to children in pre-kindergarten, kindergarten and first grade. They also visited six homes and talked to parents to see how their children were doing in school. Volunteers also discussed the flu and other ailments with the parents and encouraged them to give their children flu shots and take other precautions to prevent them from getting sick. 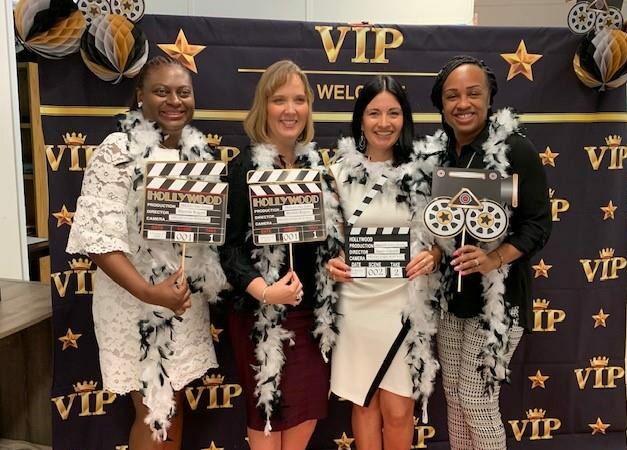 The event was organized by Lake Worth West Resident Planning Group’s Early Childhood Leadership Collaborative which focuses on preparing students for kindergarten, getting them to attend school regularly, and making sure they are safe. 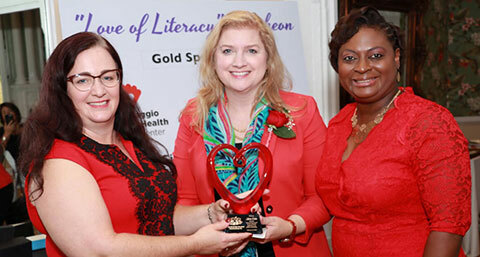 The “Book Walk” was made possible by the support of our funders, including Children’s Services Council of Palm Beach County and United Way of Palm Beach County. “We had a lot of families interested in getting this backpack and talking to our staff and volunteers, so for us, this was a successful event that we hope to do next year and get even more families to participate,” Rogers said.